This badge was issued to Brittany Williams on 20 Jan 2015. 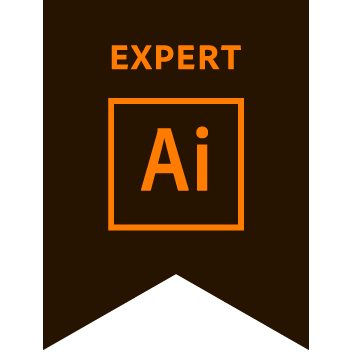 The Adobe Certified Expert (ACE) certification is the industry-recognized validation of one's proficiency in Adobe Illustrator CS6. This certification requires in-depth knowledge of conceptual design, tablet input devices, Adobe Photoshop, Adobe InDesign, and Adobe Bridge. This badge is no longer actively being issued, but it is still a valid certification.